Lex calls it "the greatest gladiator match in the history of the world", the posters billed it on #WhoWillWin, but all we get of "Batman V Superman " is one minute that is widely available online before it devolves into a big budget version of a playground skirmish by kids pretending to be the heroes. The majority of the fight is a battle of conveniences and contrivances, with each hero arbitrarily getting the upper hand because it's their turn; the film is one step away from Bats saying in a cliché nerd voice, "Um, actually, I can counter that because of this". 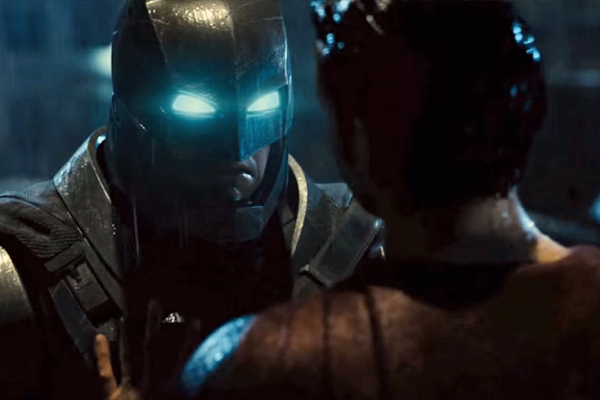 But worse than that, Batman V Superman is incapable of crafting a legitimate reason why these two titans would fight in the first place. I know what your thinking - the trailers gave us some pretty solid motivations, right? Correct, they do, but those are not the motivations in the movie - hats off to the trailer editors, because they produced a better sense of conflict than a so-called director. All the talk about the Battle of Metropolis (an attempt to rectify the problems with Man Of Steel) is downplayed, with focus instead on a different Superman-related event and sub-plots with far too much screentime begging to be treated seriously despite having no discernible impact on the plot. As a result, the fight itself feels like a random event, with vague assertions jumping straight into a metal bat suit. 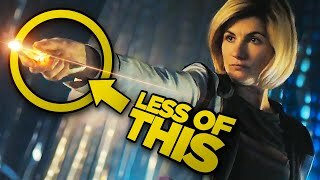 There's something that could have been a multi-levelled twist that the movie instead ignores (for spoiler-phobes, not an actual twist), and it does try to hint at deeper ideological ideas, yet throughout the whole thing I was in disbelief it thought this was a satisfying delivery on its implicit promise. 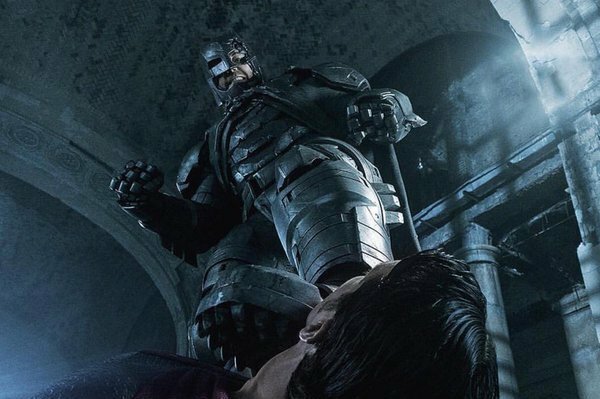 Batman V Superman had one job and it completely blew it. But, as any fan knows, that's not all in this movie. There's a later part that, while being seeded throughout the film, still feels incredibly tacked on and boasts some terrible attempts to right the wrongs of the previous movies ("Nobody's in this area of the city right now," a news reporter pretty much says). Bats vs Supes skirmish is lacklustre; what follows is an even more pointless, poorly structured drudge. Not since Harry Potter And The Deathly Hallows: Part 2 has there been a battle of indiscriminate lights that made so little sense or was so hard to care about. How is the film this bad? Well, I've alluded to it enough, but now it's time to get to the real meat of why the movie doesn't work. Clue: it's all one man's fault.